Charles Nii Armah Mensah Jr., popularly known as Shatta Wale is a Ghanaian producer and reggae-dancehall musician. Born on October 17, 1984 in Accra, Ghana, Shatta Wale has gained himself a household name making him one of the biggest artiste in Ghana, if not the biggest. He made a major come back with his smash hit Dancehall King after his 2004 hit ‘Moko Hoo’, which he was then known as Bandana. Shatta Wale is widely known to be a controversialist, following his artistic freedom and expression which is exploited to anyone and everyone who he thinks ‘deserves’ it. 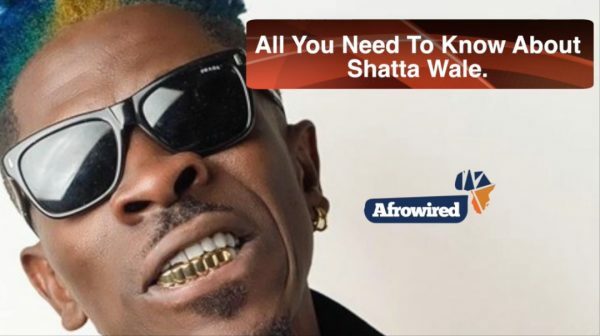 Others see him to be a troublemaker and on the other side of the world, his Shatta movement family to be precise, believes he is a genuine ‘GOAT’. The same year, he successfully recorded and released ninety-nine (99) songs. In March 2017, Shatta teamed up with his Militants to release “Taking Over”, which is undoubtedly one of the greatest hits from Ghana. He released the reign album in 2018 and per the stats it’s really doing well, making appearance to the 6th position on the billboard world music chart.